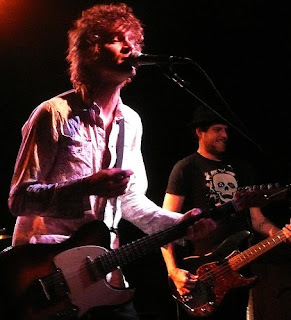 Brendan Benson might be best known as Jack White's foil in the Raconteurs, but beyond his involvement in that high profile band exists a strong solo career spanning over 12 years. Thursday night the Michigan-born singer-songwriter came to Schubas for two sold out shows promoting his new LP, My Old, Familiar Friend, and successfully sent the crowd into a state of power pop bliss - until the power went out. Thankfully, the outage didn't happen until the third (and presumably, final) song in the encore, so the unexpected interruption wasn't too devastating. Benson was scheduled to perform another set later in the night, so hopefully the issue was resolved before then. Before the juice went out, Benson and his band delivered an 18-song set for the early show that was perfectly-crafted, playing out more like a greatest hits collection than mainly a showcase of material from Familiar Friend. While he's never received a great deal of radioplay, singles such as "Tiny Spark," "Cold Hands (Warm Heart)," Good to Me," "Metarie" and "Spit It Out" are regarded as modern-day classics by power pop enthusiasts, and they were all present and accounted for in the set. 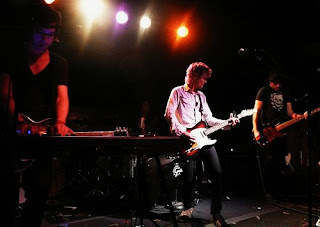 He played six new songs (technically five-and-a-half - closer "Feel Like Taking You Home" fell victim to the outage), and wisely selected most of the LP's strongest cuts. The Motown-infused "Garbage Day" was a highlight, as was the adrenaline rush of "Borrow." The remainder of the set effectively represented Benson's other three solo records, featuring four songs from 2005's The Alternative to Love, five from 2002's Lapalco and three from his 1996 debut, One Mississippi. The first few songs suffered from vocals bening too low in the mix, but once the kinks were worked out the crowd was treated to an all-around excellent show. High octane rockers ("Good to Me," Spit It Out") got the blood flowing, while Benson's pure vocals absolutely shined on more contemplative, mid-tempo cuts such as "Metarie" and "Cold Hands (Warm Heart)." Beyond the music, Benson came across as an all-around good guy, joking with the audience and seeming happy to be on stage. When a female audience member shouted, "Take off your pants!," he laughed and replied, "You don't wanna see that." Later, he praised Illinois-based musician Andrew Bird and asked if anyone had been to the singer-songwriter's recent gig at the same club. It was one of those intimate, laidback shows that can only happen at a place like Schubas. At one point, Benson mentioned that it was the first time he had played the club since 2002, and when someone in the crowd suggested he make it a yearly affair from now on, he said he was up for the idea. Let's hope he meant it. The show was awesome! Schuba's never disappoints, as it always results in an amazing show. 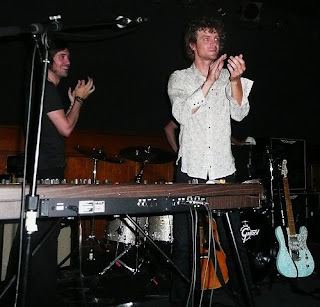 Brendan Benson is totally underappreciated in the music world, but I wonder if that's how he likes it? Thanks for the comment, Kristen. I was amazed to hear so many people cheer when he asked about Detroit! It was very cool.